It’s 7pm. You sit there at your kitchen table just staring at your child. For the past 45 minutes, she’s touched possibly two bites of food on her plate. You bribe. You encourage. You play games with the food. Frustration rises from the pit of your stomach. Fine, you say, no more eating tonight. Dinner time is over, you can’t stand any more of this meal time stress. Oh my goodness!! You’re about to lose your mind, right? Yes – part of you might say – too bad you missed your time to eat. But the other part doesn’t want your child waking up in the middle of the night nor do you want her to go hungry. So, you throw every bit of parenting advice out the window. You bring her a few crackers which she happily crunches down. Cracker crumbs litter the pillowcase…and she falls happily asleep. Until tomorrow night where it starts all over again. Seriously?!? How do you stop this? Why can’t your child eat when you put dinner in front of her?? 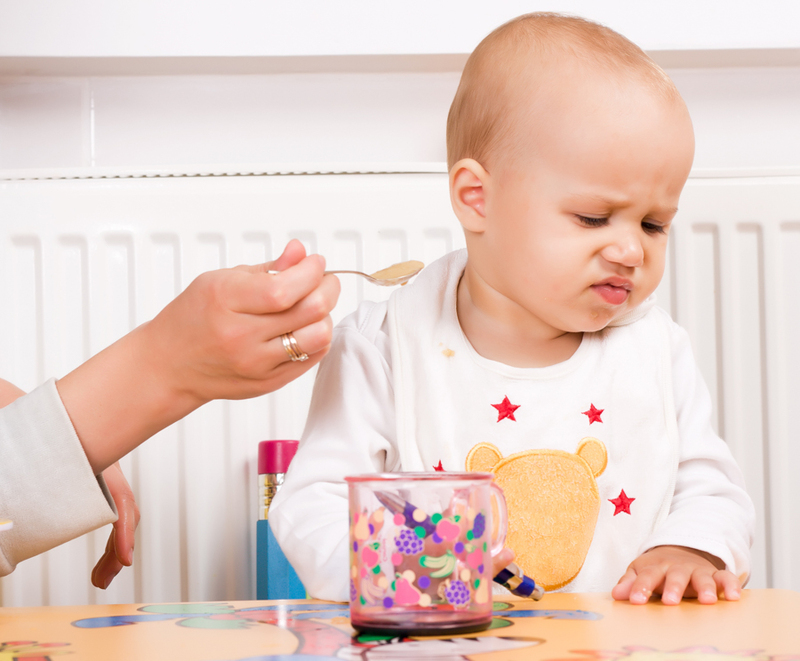 Slow eaters can be super stressful and frustrating for parents. Not only does dinnertime take FOREVER, but you’re also consumed with guilt because you know… that your child isn’t getting nutritious food when she does eat. You child plays with her food. She constantly shoves it back and forward on her plate. 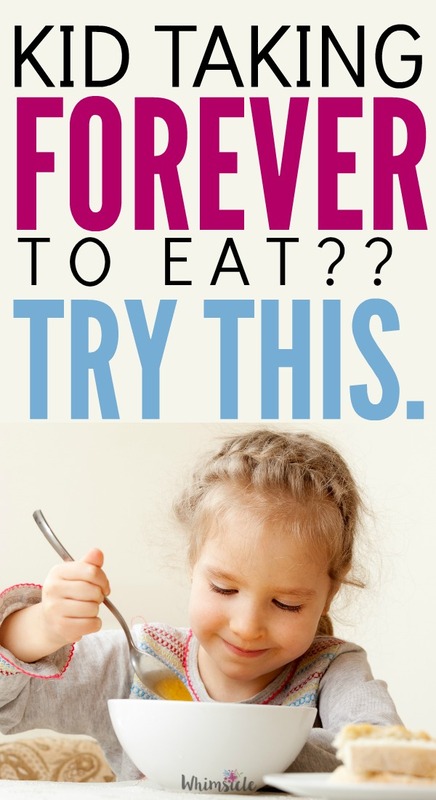 It takes 30-60 minutes for your child to finish her meal. If you’ve experienced any of these and you are stressed out of your mind when it comes to mealtime, don’t worry. 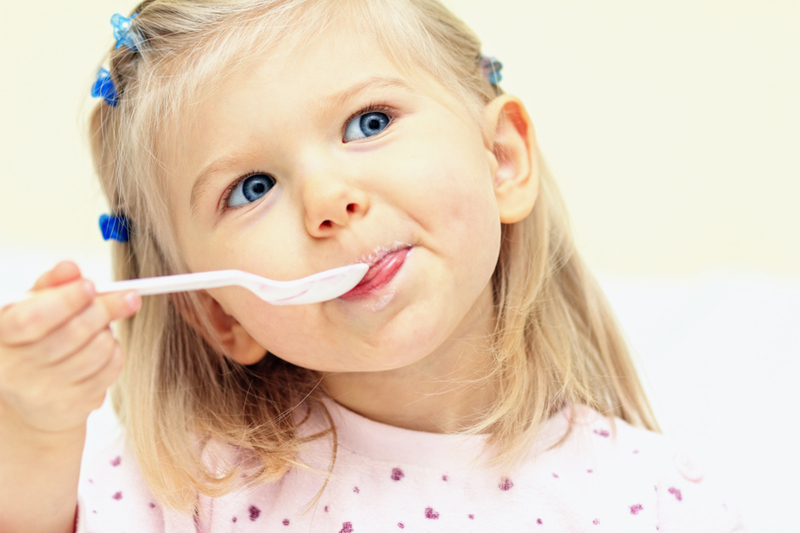 Use these tips on how to stay calm while solving your child’s slow eater problem. Start watching your child during mealtime. What?, you say, of course I watch my child. No, I mean watch with the intensity of Jane Goodall studying apes in a zoo. Observe exactly what your child does from the moment the plate is put in front of her to when it’s put away. When I watch my daughter eat, it’s no wonder why she never eats a full meal. She sits down. Then, she gets up to get herself milk. Then, she yells at her brother for a bit (and he yells back), Then, she goes back to picking out the food items that look the least offensive to her. Then, she asks if she can get a dessert if she finishes her food. When I tell her no, she sulks for a little bit. Finally, she eats the bare minimum of trying every item on her plate, takes her plate to the sink and announces she’s done. Can she watch Full House now? Ya… my family’s dinner time habits are far from the Brady Bunch. She doesn’t see family meal time as a time to reconnect as a family. It’s simply the eating of food. She’s really not interested in the meals. She may not be hungry – hmmm, could it be all the potato chips she’s been helping herself to in the cupboard that I’m just too worn down to say no to? Don’t forget these at meal time. Post this cheat sheet on your fridge. 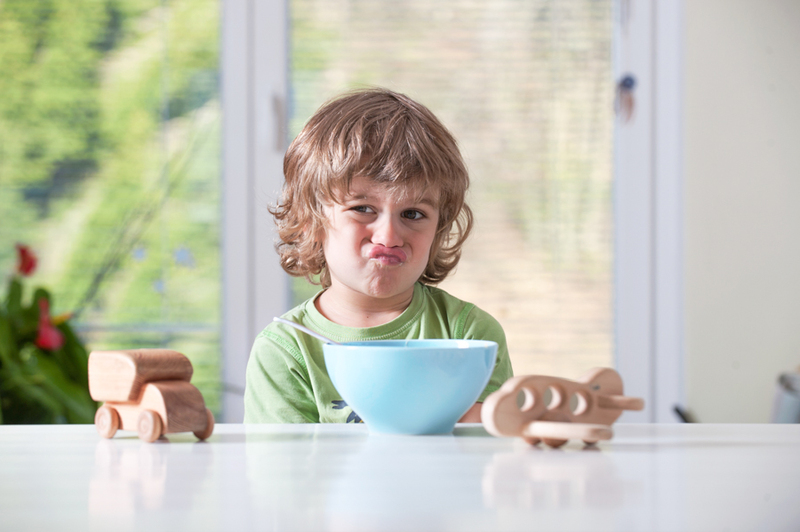 Ellyn Satter, author of the Division of Responsibility in Feeding (the gold standard for raising healthy eaters), recommends focusing on the “how” instead of the “what” of eating. Meals are a time of socialbility and reconnecting with people… not just devouring food. When you look at this way, you are setting your kid up for a lifetime to success by teaching her how to enjoy the company of meals rather than the eating. Thinking about it this way also takes a whole lot of stress from you as a parent. 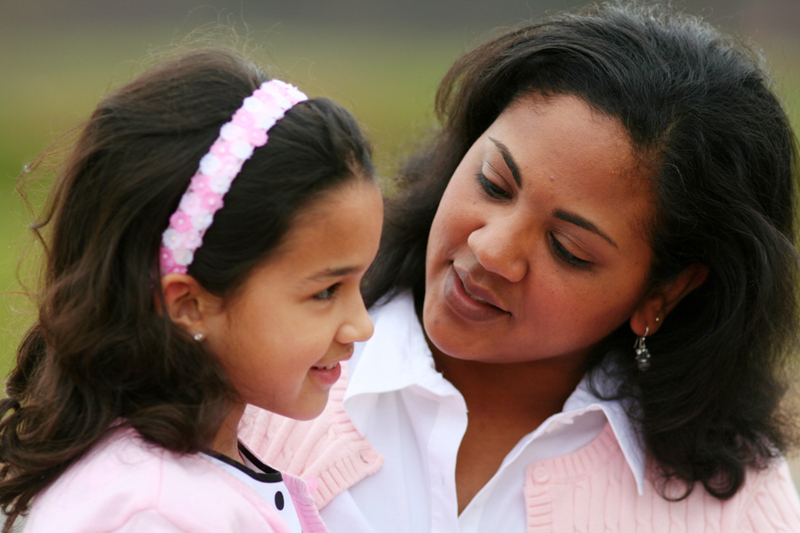 Now that your mission isn’t to get your child to finish her dinner, don’t you feel that weight simply lift off you. I expect you to stay at the table the whole time. Now, we need to put it into action. I mentioned that one of the issues with my daughter was that I don’t believe she is hungry when she comes to the table. Ok, I actually know this as fact. My kids rarely eat their dinners. But, one night they did. We had a full afternoon of travel and had packed no “fun snacks” what-so-ever. We were driving back from my parent’s house in Tucson where we had all indulged in cookies, ice cream and all sorts of deliciousness. They wanted the fun stuff back, not the oranges we had packed for the drive. When we sit down to dinner that night… I swear… both of my children devoured EVERYTHING on their plates. Hmmmm… I think we’ve stumbled on something here. The secret is in establishing set meal times and limiting snacks between meals. Trust me, I will be clearing all the granola bars, crackers, chips, and cookies out of our snack cabinet and instead put out a fruit bowl. Now, that we have the “how” down, let’s play with the what. First, let me say, we are not a slave to our children’s food preferences and should not cook to suit ONLY them. Kids have NO CLUE what they actually like. When dealing with a slow eater – who may also be a picky eater- we must expose them to food multiple times before the new food will take hold. 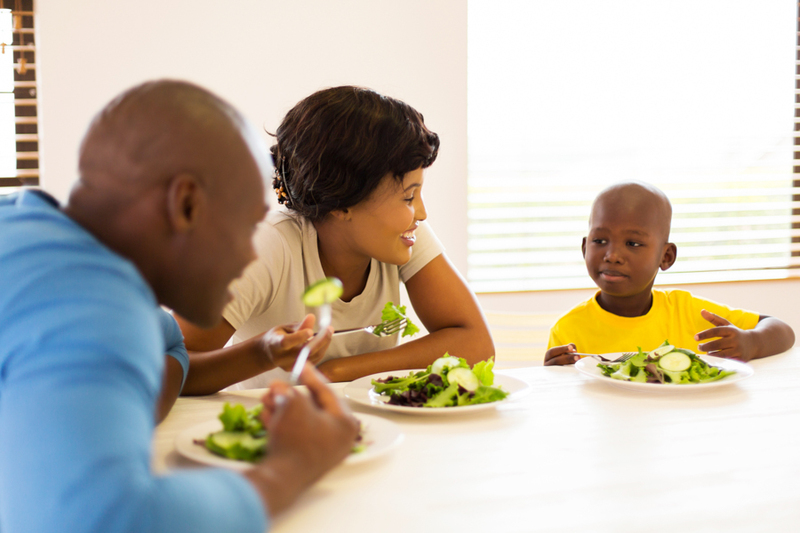 According to Parenting Science, one study reported that kids increased their liking for and consumption of vegetables after they were asked to try them once a day for two weeks. That’s 14 days of the same food!!! How many times do we try to serve something once and then give it up? (That’s me with my hand raised guiltily high above my head). Before we change the food offered, we need to give specific foods a worthwhile shot. Then, we can start playing with variety. A great way to do this is through meal planning. If your child’s slow eating is driving you insane, don’t lose hope. By dialing down to the specific cause of the problem and then focusing on the “how” of mealtime before what, you can both lower your stress and make dinner time enjoyable in your home again.